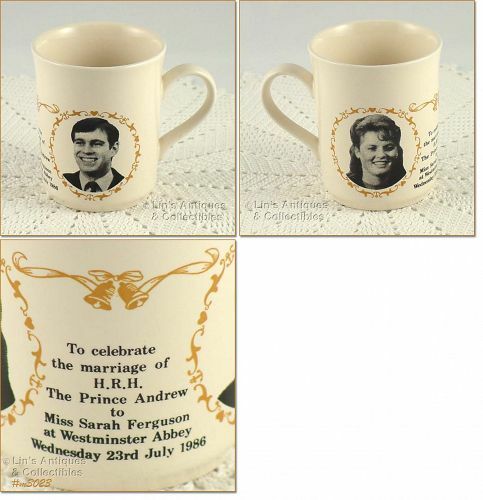 Neat collectible – a commemorative cup “To celebrate the marriage of H.R.H. The Prince Andrew to Miss Sarah Ferguson at Westminster Abbey, Wednesday 23rd July 1986”. Cup is in excellent condition and bottom is marked Made in England. Super!